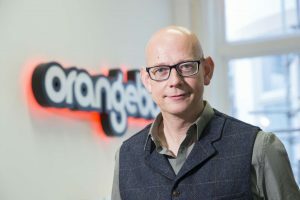 Orange Bus has made a senior hire and launched a new division to help firms capitalise on emerging technologies. The Newcastle-based digital agency has appointed virtual reality expert Austen Atkinson as creative strategic director. He's previously worked for global organisations including Google, Virgin, BBC, Sky and The Sunday Times. In his new role, Atkinson will help the agency explore the potential of VR, artificial intelligence (AI) and other emerging technologies in the B2B, military, government, consumer and education sectors. His appointment coincides with the launch of a new division, Orange Bus Futures, which will help organisations take advantage of these early-stage technologies, designs and processes. Having spearheaded a significant VR project with Google last year, Atkinson hopes to develop ambitious new VR experiences with the tech giant in 2017. Orange Bus, recently named Large Agency of the Year at the Northern Digital Awards, is exploring a separate VR initiative with Wales Millennium Centre Cardiff and is also Force India Formula 1's official digital partner.